What do you look for in a local heating, plumbing and air conditioning company? You look for a reliable business that is large enough to handle any requirement that you may have for your heating, plumbing, bathroom renovation or air conditioning installation. 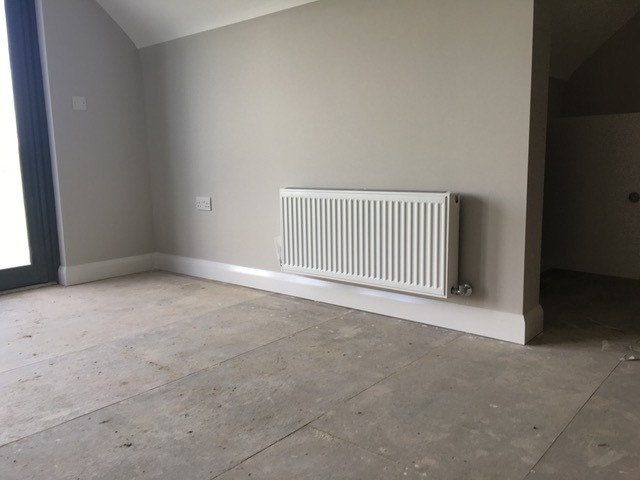 You want for a reputable heating services company with a great local reputation, and which cares passionately about keeping that reputation as a top HVAC company in Hampshire, Surrey, and Berkshire. You need a knowledgeable renewable energy company that is as efficient as possible –providing quotes from emailed photos to save the cost of a site visit, for example - but that never cuts corners on quality. You prefer a heating and plumbing services that communicates with you, regularly and comprehensively. So, you’ll know exactly how your central heating, plumbing, air con or renovation project is progressing, and whom you can always call –whether that’s just for an update or in an emergency. If you like the sound of the way we operate, please call us on 01420 561777 or use the Contact Us page, and we will be in touch as soon as we possibly can. Examples of recent projects, including heat exchange systems, new designer bathrooms, and underfloor heating. 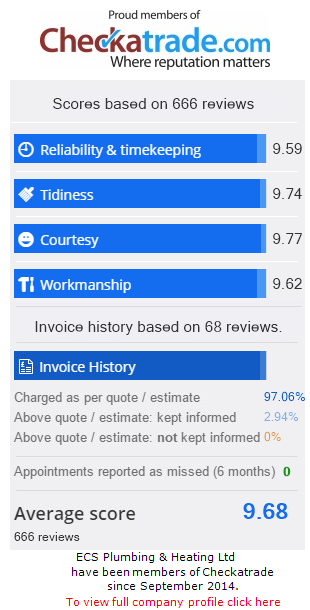 We’re upfront about our ‘plumber prices’ and other service costs. Get in touch with us today - we’re happy to help. 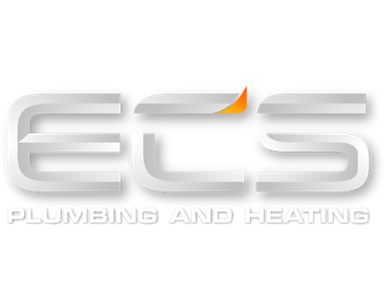 At ECS, we don’t just install, we also service, maintain and repair all kinds of heating, ventilation and air conditioning systems (HVAC). 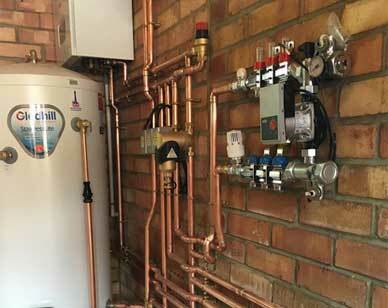 We can also service all kinds of boilers, including condensing boilers, gas boilers and oil boilers. 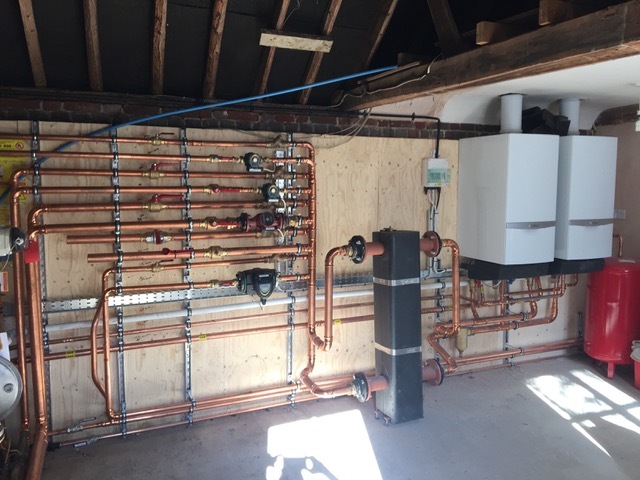 We can also renovate, repair or replace old installations with new systems that meet and exceed the UK’s safety and energy efficiency standards, and are more eco-friendly too.